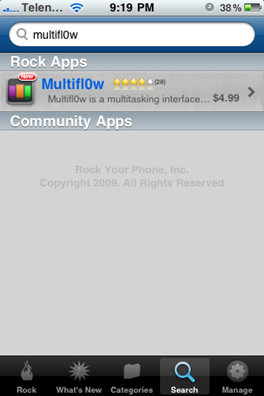 Multifl0w multitasking app has finally gone Gold and is now available for download via RockApp for jailbroken iPhones. 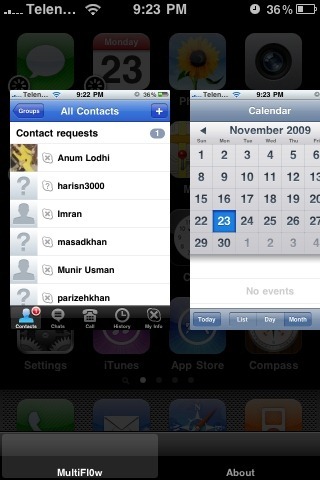 Multifl0w is an iPhone app which allows switching between applications running in background in a beautiful Palm Pre style cover flow-like mode. It basically act as a graphical extension to the already popular app from Cydia called Backgrounder to present all opened apps in a tabbed view, similar to the view seen on Mobile Safari browser. Multifl0w is a multitasking interface which displays applications that are running and allows you to scroll left and right between them for quick switching. It also includes a snapshot of each of the backgrounded applications. Runs with backgrounder (you can background application by holding the home button). Multifl0w app is available for $4.99 (10 days free trial is also available) via RockApp for jailbroken iPhone’s and iPod touch. Follow our complete step by step guide for jailbreaking you iPhone and iPod touch if you haven’t already. Multifl0w requires Backgrounder app which is a Mobile Substrate-based extension to be installed as a perquisite. 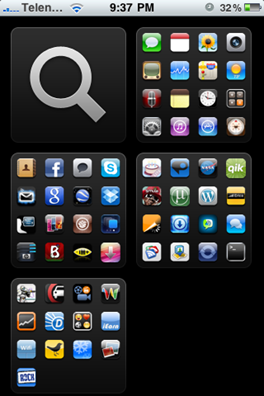 Backgrounder can be installed from Cydia for free from BigBoss repository. Check out the video posted here to see Multifl0w in action on iPhone 3GS. just installed. Works great, but ipod and Mail don't show up as a preview, just text. This happening to anyone else? HA HA HA HA HA, YOU GUYS. PAYING FOR PAYED APPS. PRICELESS. Can someone help me understand please? Why would i pay for jailbroken apps? “Jailbroken”….get it? It's like anonymous said, “FRIGGIN PRICELESS”..LMAO!!!! Is because people who made those apps for us are need to live!!! !